Publishing your ebook to a single retailer as a test prevents author overwhelm and also avoids what I call “the embarrassment of premature distribution” because any mistakes you make - typos, keywords, design adjustments - can be corrected and re-uploaded quickly and easily. So before you distribute your ebook widely, and certainly before you distribute your book in print, think about publishing directly with just one or two online retailers first. All the major ebook retailers offer book creation and publishing tools that are free to use. Another bonus is that you earn more than 70% royalty because you don’t pay distribution fees. Who knows, you may even want to go direct and stay direct. Let’s take a brief look at each direct sales channel and their book publishing tools. Confused about distribution? Also take a look at the Self-Pub Boot Camp Distribution Course. Amazon Kindle Direct Publishing (KDP) is an Amazon-only publishing tool whose sole purpose is to get your book into MOBI format to sell in the Amazon Kindle store. Customers will read your book on their Kindle devices (Kindle Paperwhite, Kindle Fire and others) and Kindle apps for non-Kindle devices. Follow their instructions on how to create a Word file or use a book design template. Note that though KDP is a great service, more and more self-publishing pros like me discourages the use of KDP exclusive Select program. More on that in another post. Amazon KDP Print evolved from CreateSpace (which was rebranded from a tool they bought called BookSurge a long time ago). I wouldn't recommend publishing in print before you are absolutely certain your book is perfect. They have the best marketing program of all the retailers, offering personal customer support with suggestions on how to make your book better (if you are rejected from one of their marketing programs). You can download the EPUB file you created using their tool to use for distribution elsewhere. Kobo is owned by Japanese e-commerce giant Rakuten, and they are the engine behind Walmart eBooks. I talked with Christine Munro on the Kobo Writing Life podcast about self-publishing in general, and I learned a lot about their platform, too. I'll interview Christine in my Author Friendly Podcast soon. Barnes & Noble Press, the famous brick-and-mortar bookstore, is also a great option, and competes with Amazon in that they publish both print and ebooks. We keep hearing of its eventual demise but it's still here! Smashwords’ standard catalog - as opposed to their premium distribution catalog - can also be a great way to publish, get reviews, and test the waters before you spread your book too far and wide. Use their formatting guidelines or a book design template. I love Smashwords because they have so many great author tools, like the self-interview form, coupon codes, pre-orders, and library distribution. But just self-publish your book in their store (standard catalog) as you develop your story and ask for feedback from early readers. Hear more about Smashwords in The Author Friendly Podcast Episode #6 with founder Mark Coker. StreetLib is a digital and print book distribution service with it's own online store. Similarly to the Smashwords Standard Catalog, you can sell your book in the StreetLib store without distributing elsewhere. As an author on StreetLib you can claim your own book page, edit the content, and earn 15% of sales revenues. You can add other books from their extensive catalog to sell for a 15% commission. This is a great way to offer a curated bookstore to make additional income. 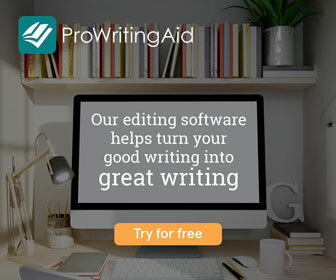 You can compose or paste your book into their free cloud-based book creation tool, and it’s capable of formatting comics, cookbooks, and poetry. Export to EPUB, MOBI, fixed layout, and PDF for print. An e-commerce widget for your book is also included to embed in your website so you can sell direct. Hear more about StreetLib in The Author Friendly Podcast Episode #5 with StreetLib's AC de Fombelle. Got a complex, illustrated ebook? Apple iBooks Author or Kindle Kids Book Creator may be for you. Do a little market research to see if your readers are likely to own iPads or Kindle tablets. If you create a kids book with the Kindle creator, your book won't be available for iPad owners and vice versa. Apple iBooks Author is a much more sophisticated tool, and can help you design textbooks, cookbooks, travel photography books, and other kinds of books that require fixed-layout EPUB formatting. Alternately, you can use Blurb to create your graphically heavy book. The perk here is that their templates create both the print and the fixed-layout EPUB versions of your book at the same time. You can then sell it (or give it away as a PDF or EPUB) through their store. Gumroad is an awesome online store that lets you sell or give away your print books, ebooks, and any other physical object or digital file. Use their store and embed a seamless checkout widget on your own website. You’ll need to create your own files and, in case you haven't heard, I really like my friend Joel's book design templates in Word and InDesign. Don't forget audio files! You can upload any kind of digital file, including audio-excerpts of your book or an entire audio book, to sell or give away on your website. Use your imagination! Handy links to these tools. Sign up for the newsletter to be notified when new posts and podcasts are live and to get news, techniques, and discounts for self-publishers.